The all new 2011 Ford Fiesta resurrects a legacy nameplate in the Blue Oval family with a sparkling new sedan and hatchback that sport new technology inside and underneath. The result is a car that today's newly arrived urbanites should find perfectly fitted to their needs, wants and comforts. Inside, the Fiesta breaks new ground in the mobile multimedia market with a voice activated infotainment system that augments the traditional AM/FM/CD/MP3 stereo with audio and podcasts streamed into the car's sound system via a Bluetooth link to a smart phone. Non voice audio controls and for creature comfort settings revert to basic knobs and buttons that are sized and arrayed for ease of use with minimal distraction from the driving task. Comfortable seats have enough side and bottom bolsters to keep occupants properly positioned, but gingerly, without obstructing ingress and egress. Quality of interior materials is either on a par with or a tick or two above the expected standard for cars in the new Fiesta's class. Ford wants to boost this even further, too, with something not commonly found on cars in this size and price class: Leather seating surfaces and heated front seats are optional on the top of the line sedan and hatchback. 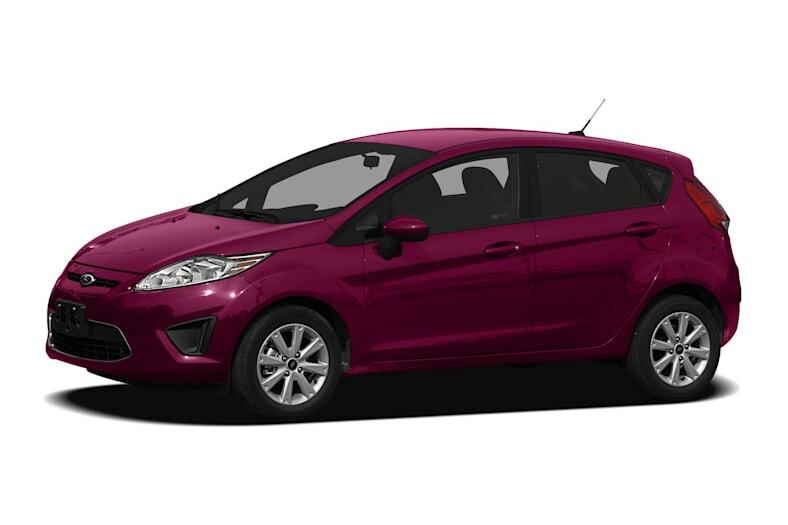 Underneath, the Fiesta introduces a new transmission technology as an option to the Fiesta's standard, 5 speed manual gearbox. This is a 6 speed, twin clutch, automated manual that operates like an automatic but with the fuel economy of a manual transmission. This offers what approaches the best of both worlds for people who like driving but live a city centered life: not having to deal with a clutch pedal but enjoying authentic manual transmission gear changes and the traditionally better fuel economy of a row your own gearbox. Evidence of this latter benefit is the EPA estimated, city/highway rating of 30/40 miles per gallon for the 6 speed against 29/38 mpg for the 5 speed. Normally, an automatic would come up two or more mpg short of a manual. The new Fiesta feels right at home running around town and on weekend errands. It slips conveniently into fleeting gaps in stop and go urban traffic and into space limited parking slots. Its 120 horsepower, 1.6 liter engine will take the daily commute in stride. Ride is smooth. Wind and road noise is decently muted. Steering feel is certain. Corners taken at responsible speeds reveal little body roll. This means it'll also handle quite well a relaxed Sunday drive to the coast or to a family gathering. The two body styles make distinct statements. The sedan is an interesting combination of an American style econobox with softened edges and a high rear deck (trunk lid). The hatchback presents a more satisfying, Euro like profile, with nicely wedged side character lines and an almost sensuously rounded posterior. Choice is in the eye of the beholder, but both are pleasant and more than competitive in today's design conscious new car market.